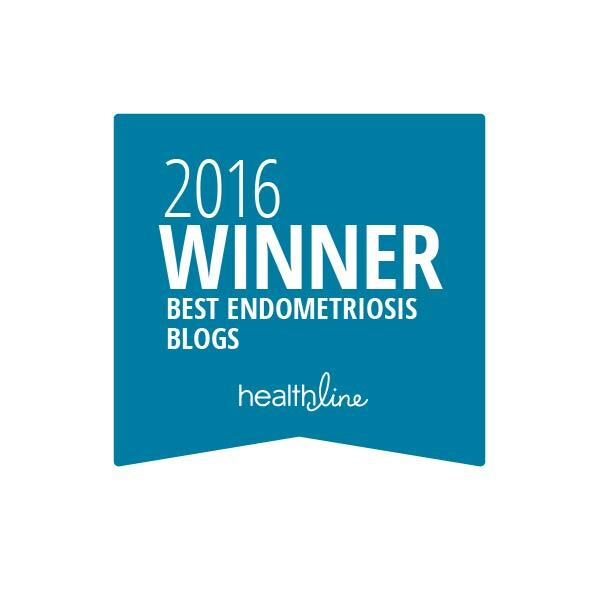 So, I blog a lot on here about the symptoms of Endometriosis, the misery, the agony, the pain (both physical and emotional). I share your stories, some good, some bad. I do all I can to make this disease real to people who may not understand it. But today, I want to share that there are times where this battle may not be all bad. I often feel guilty for the good days. BUT there are good days…and I hope that if you suffer from Endometriosis, that there are times when you have a good day here and there. Embrace those days. Hold onto them to help you get through the painful ones. It could be the effects of my 2016 excision surgery. It could be I’ve been trying hard to be good with my diet. It could be that I skipped my period in October completely (and, no…I’m not pregnant). It could be that my recent cataract surgery stressed out my body and threw my cycle out of whack. Whatever the reason, this October has been absolutely incredible. Sure, I had the cramping on October 14th, but that totally turned out to be triggered by constipation. Yes…poop. I talk about that here, too. *wink* I’ve discussed this skipped cycle with my physician and I’ll just be tracking them until my annual check-up next April. I cannot stress how important being able to experience a pain-free day can be to your mental health and quality of life. I wish all of my EndoSisters could have them more often…or, in some cases, just have one! Find a physician that listens to your concerns and needs. Find a surgeon who is familiar with Endometriosis and who practices excision (not ablation). I cannot stress this enough. Identify and eliminate foods that trigger or worsen your symptoms. Do not be afraid to ask for stronger pain medication. Seek complementary forms of treatment. I’ve heard great things about acupuncture, pelvic floor therapy, meditation, biofeedback, and supplements. Bond with a support group. Share ideas, share your story, learn from one another. I’ve no idea if November will be as marvelous as October. But there’s only one way to find out. And you can rest assured I’ll keep you posted. I hope that you are able to celebrate the good days. And if you aren’t allowed a pain-free day, I hope that you have at least a good moment during the day. Take a breath and savor it. Great advice and a very good truth. I too embrace those pain-free, good poop days. 🙂 Humor is so important when we have chronic illness and whatnot. Oh yes, nothing like a pain-free day that’s topped off with a non-painful poop! The struggle is real. My pain days usually have to do with my cycle: more pain in the luteal phase, both ovarian and uterine. But even in the follicular phase ovary pain is just kind of always there. Hmmph. You have great advice in this article. I strongly recommend acupuncture and pelvic floor therapy as you mentioned. While neither will “cure” you, they will help a little and a little can go a long way! Hope you have more good days than bad this November!